If you do not yet have a copy of the Rules of Golf (see below), you can access the full text online. The Rules of Golf: The full text of the Rules. The Players' Edition: An abridged version intended to be the primary publication for players. It excludes less frequently occurring situations. Interpretations: Provided for aspects of the Rules that required additional clarification. The NYSGA offers free, introductory Rules of Golf seminars in March in April throughout upstate New York. These three-hour seminars include a professionally produced presentation that is focused primarily on the 2019 Rules changes. For advanced students, the NYSGA will be offering a full-day advanced Rules Seminars in Buffalo, Syracuse, and Albany. Click here to learn more about Rules education opportunities in New York. 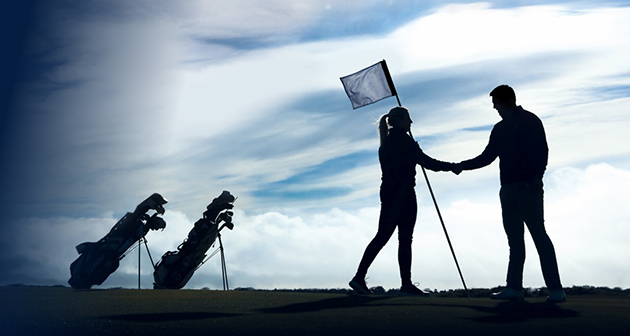 The USGA, through a partnership with Rolex, is offering complimentary copies of the 2019 Rules of Golf (full edition) and the 2019 Players Edition of the Rules of Golf (an abbreviated version of the full edition). You will be responsible only for the cost of shipping. Orders can be placed for 1-2 or large quantities through the USGA (see below). Golf courses or educational institutions that order larger quantities, you will be required to click the Sign In/Register link provided on the order page.